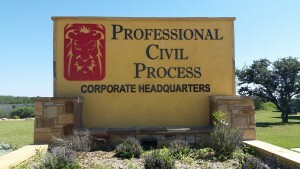 PCP’s corporate office is at the heart of PCP’s network. With centralized departments for customer service, quality control, and court filing, PCP can offer high levels of customer service, security, and quality control. Designed and built by PCP’s President, Rick Keeney, it’s sole purpose is to offer a high level of security and functionality. As compliance and security issues arise in the government and credit collection sectors, Mr. Keeney saw this as an opportunity to show the true colors of PCP. With key-card entrances, video surveillance and open floor plans, Compliance and information security was the key factor in the design of PCP’s corporate office. Mr. Keeney used his knowledge of the industry and the security clients wanted to design PCP’s corporate building to house the best and most compliant process serving company in the United States.